For seven years now, a family of robins has chosen the eave over our front door to build its summer nest. When my two daughters were little, we used to spy on the birds through the transom window, watching the mother’s spring nest-building through the weeks when she laid and guarded her eggs. We waited for the turquoise eggs to crack open, for naked, begging babies to fill the nest. Mostly, the robins delighted me, but as the novelty wore off, the nest became less of an enchantment and more of an annoyance. Smears of mud and grass stuck to the window, egg shells blew out and littered the porch, and then, of course, there was the poop. This past fall as my daughters left—one for college, one for her first big job in New York City—the symbolism of the nest struck me anew. One morning when I walked down the stairs and saw the empty nest through the window, I drew a deep breath, and tears came to my eyes. I sat on the stairs in front of the window and had my first good empty-nest self-pity cry. I had seen a mother create a home and push her babies out of it year after year, and it had never occurred to me that we had anything in common. In that moment, I felt one with every mother in the universe. This little story is excerpted from “7 Whispers From the Universe that Say It Will Be Okay” on Oprah.com. Read the full article HERE. 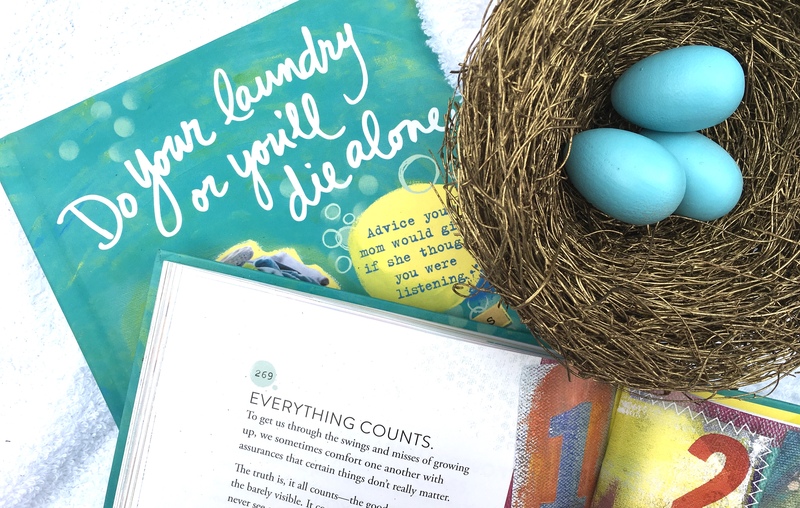 Becky Blades is author of Do Your Laundry or You’ll Die Alone: Advice Your Mom Would Give if She Thought You Were Listening, wise and witty collection of counsel for launching loved ones.